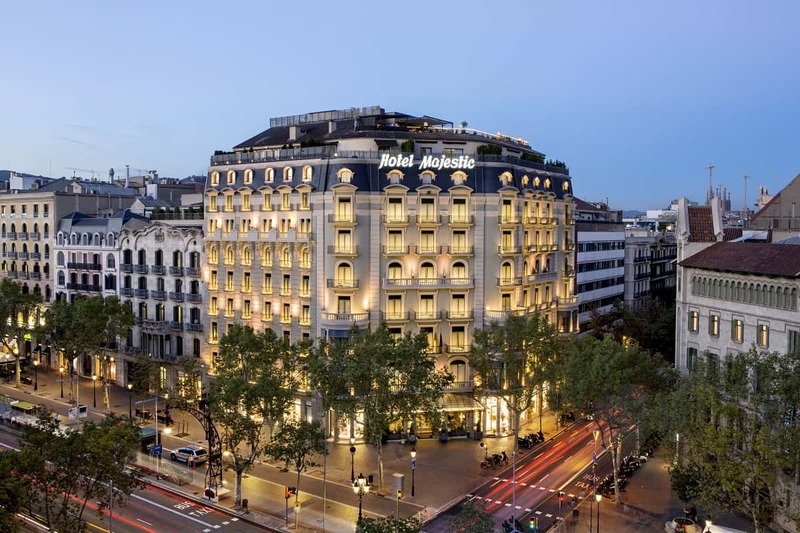 Majestic Hotel & Spa Barcelona is situated in a beautiful neoclassical building mid-way up Passeig de Gràcia, a short walk from two iconic Gaudí buildings, Casa Mila and Casa Batlló. The 5 Star Grand Luxe hotel features a spa, rooftop swimming pool, fitness centre and a terrace with panoramic views of the city. The classically decorated rooms include air conditioning and a flat-screen TV. WiFi is available in all areas of the hotel and is free of charge. Among the best restaurants within walking distance is Moments (Passeig de Gràcia, 38), awarded with two Michelin stars for its outstanding and innovative Catalan cuisine.